One of the Greatest Adventures of All Time Returns in HD! The Legend of Zelda™: The Wind Waker™ makes its glorious return on the Wii U™ console with gorgeous HD graphics and enhanced game features. 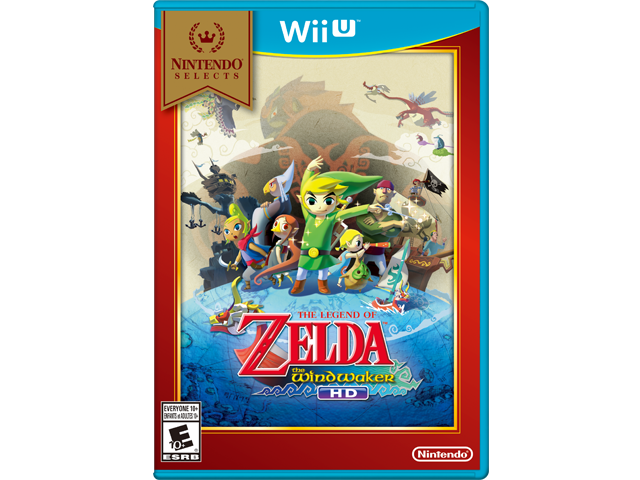 In this timeless classic with a unique and colorful "toon-shaded" art style, players guide Link™ as he sets out on the massive Great Sea to find his kidnapped sister. You will sail the seas in search of lost islands, fight fearsome enemies, take on mighty bosses, and seek out the legendary Triforce. If the television is already in use, this game can been played off-TV on the Wii U GamePad.